I do not know how or why, but I have always been enchanted by stories. They are, to me, perhaps more than most other physical things in life. Stories are my biggest passion. There are days I could forego lunch, a trip out of doors, or sleep if it meant a chance to read or see or hear a good story, which sometimes makes me wonder if I am not flaming crazy. The above quote from J. R. R. Tolkien, taken from a post on Interesting Literature, is something I like to read to remind myself that I am not, in fact, crazy. I just happen to really like stories. Why? Well, why are some people passionate about surfing? Why are some people happiest while they are wood-working? Why are other people almost transported to another world while they are doing math? We each have our talents, our passions. Stories and their characters are mine. Uh-huh…. And when I reach adulthood, I can stop eating my veggies, right? I think several dozen fitness experts and dietitians would have an apoplectic fit if I pulled that stunt. The thing I am trying to say, readers, and I may not be saying it well, is that stories matter. The characters in them matter. They always have and they always will, at least until time ends. Stories are avenues of escape. But escape from what? Reality? Hardly. I may be addicted to stories, but I can tell you that they have not numbed me to reality in the least. Stories are ways to escape the prisons forged out of despair, hatred, loneliness, and other evils. There are unfriendly things we have to deal with in this world if we are to survive it and discover our destiny. No one sniffs at the working mother whose husband buys her a ticket to the spa so she can get some down time, or the family that heads out to the park for an afternoon to kick a soccer ball around and enjoy each other’s company. Yet begin talking about a story you enjoy, and you are suddenly accused of trying to escape reality. I am no psychiatrist, no scientist, no sort of professional or “expert” whatsoever. But I know stories. I know they matter. I know because they are what make me happy, the same way a surfer is happy when he or she is out there shooting the curl. The same way a carpenter is glad when he planes a piece of wood or finishes a chair. The same way a mathematician receives untold pleasure in figuring out or making new numerical and formulaic puzzles. This is why I post about stories so much. And this is why I have a problem with the direction the Marvel franchise is headed. 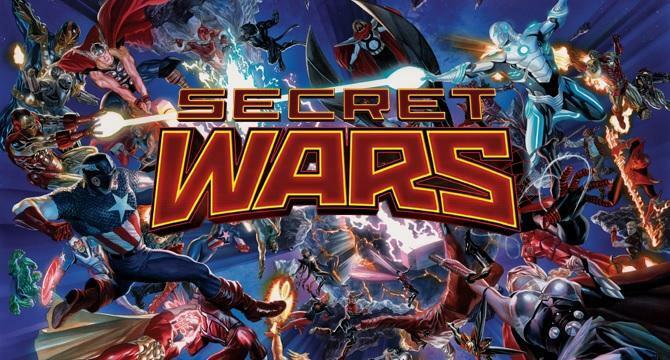 Marvel Comics is currently in the middle of some insane storyline called “Secret Wars.” The many alternate Marvel universes have collided with the “mainstream” – 616 – Marvel Universe which Stan Lee and his fellows created back in the 1960s. 616 Iron Man/Tony Stark and Nick Fury have been transformed into villains and have helped to bring this calamity about. Several characters from all the alternate universes are now struggling to survive alongside the 616 characters. The entire universe is in shambles. To top it off, Marvel is hyping an “All-New, All-Different” Marvel Comics line up for the next year (or more) with the roster for the Avengers completely rearranged – Miles Morales will be Spider-Man, Sam Wilson will still be filling in for Cap, Jane Foster will still be swinging Mjolnir and using the name Thor, and by now I cannot recall the other changes Marvel said were coming out. I do not know who is alive in the Marvel Universe anymore, who is dead, which characters are wearing which superhero identities. My information is fragmented and despair-filled. The Marvel Comics currently in progress are not the Marvel Comics I enjoyed or, I think, that I could ever enjoy given who and what I am. In an alternate reality, I might. But not in this one, and this reality and the one that follows are the only ones that count. Marvel knows that they can have all sorts of characters wear, say, Spider-Man’s costume, but the only character fans really want to see in the suit is Peter Parker. They know they can put anyone in the Captain America suit, but the only one who anyone truly wants to see holding the shield and standing up against evil is Steve Rogers. They know what works and they know what does not work. Why they have done what they are doing I cannot say. I only know that it has to stop, before irreparable damage is done to the characters they supposedly love as much as we fans do and, more to the point, which they are charged with protecting and strengthening. They cannot be allowed to continue down this road, readers. If they do, there will be very little of what is good and right left in Marvel Comics for those who follow us in the near future. The films and cartoons based on their characters will suffer similar fates. For the comics are the roots of these newer forms of the tales and once the roots are poisoned the whole tree will die. But why do I care about this, when there are so many more important things to think about, so many other calamities hitting the world and society? Well, why did Stan Lee care about this? Why? Why did Stan Lee care? After the Second World War, all the comic book characters that were churned out for the U.S. soldiers and the kids back home in America were shelved. The comic book companies stopped producing stories for them; they started telling new tales with new characters instead. Though he may have lasted longer than some war-era comic book characters like Prince Namor and the original Human Torch, Cap was eventually put away as well. Hah. For someone who is “not needed anymore,” Steve Rogers is awfully popular today, is he not, readers? Where would we (or Marvel, for that matter) be if Stan Lee had left Cap to collect dust on the shelves of Timely Comics, before he owned it and renamed it Marvel Comics? Stan Lee liked Steve Rogers as much as any of us ever have. He brought Cap back because he knew we were always going to need him. He knew the suit did not make Captain America. Steve Rogers made Captain America. So Stan Lee made sure Steve could go on fighting for the nation he loved, inspiring generations of Marvel fans – outside and inside of the U.S. – to keep on fighting for what is right and true and good in this flawed, chaotic world. He knew we would always need a rallying point, a character so thoroughly American that he could never consider giving up, not even for a moment. In the Avengers’ fourth issue, Stan Lee reinstated Steve Rogers in the fiction of the world. And we have reaped the benefits not only of Cap’s determination and strength but also of Stan Lee’s foresight and understanding of why we need great stories and great heroes. And yet we are letting Marvel’s current hierarchy and their writers toss Steve around like a yo-yo. Marvel knows I am displeased with the way they have taken their stories. I have made no secret of it, sending them various notes showing my displeasure and suggesting how they might do things better since November/December of 2014. But I am only one voice. I have no power with them, beyond what I have done. They can, if they choose, ignore me easily. Odds are good that they will ignore me. You want to know something really funny about all this, readers? Thinking about this post, about how to try and get my point across, I suddenly remembered Captain America: The Winter Soldier. I recalled Steve Rogers speaking into a SHIELD microphone in the Triskelion, revealing to the World Security Council and the clean SHIELD agents that HYDRA had grown up right under their noses, and was planning to conquer the world through the agency that was supposed to protect humanity. The part I specifically remembered was Steve saying, “The price of freedom is high. It always has been. And it’s a price I’m willing to pay. And if I’m the only one then so be it. So maybe I am the only one who cares about what Marvel messes with in their comic book universe. Maybe I am the only one in the world who cares about the characters as they were written and who wants to see that foundation built up, not torn down. And if I am the only one who cares… then so be it. I do CARE!!! But, then again…maybe I’m not the only one. I do not know. I cannot know. The U.S. Marines have a saying, “Is this the hill you want to die on?” Not particularly. But if it is the hill I am forced to fight on, do not expect me to fight by halves. A fight is all or nothing. And if I have to die on this hill, standing beside the river of truth, well, you know – there are much worse hills out there on which to die. So bring it on, Marvel. I am willing to fight. This entry was posted in Marvel Comics' Characters and Stories and tagged "mainstream" Marvel Universe, All-New All-Different Marvel Comics, Captain America/Steve Rogers, Captain America: The Winter Soldier, carpenters, Challenge, comics, escape, Essay, Falcon/Sam Wilson, Fans, happiness, HYDRA, Iron Man/Tony Stark, J.R.R. 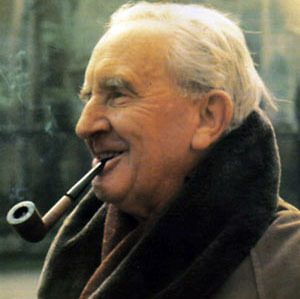 Tolkien, Jane Foster/Thor, Letters to the Editor, Marvel, Marvel Comics, Marvel Comics' Characters and Stories, Marvel's hierarchy, mathematicians, Miles Morales/Spider-Man, Nick Fury, Peter Parker/Spider-Man, reality, Sam WIlson, Secret Wars, SHIELD, Stan Lee, stories, stories matter, surfing, Thor, U.S. Marines, wood carving, World War II on July 14, 2015 by The Mithril Guardian.